There is a famous "joke" about Colombia; “an angel talks to God who asks him to give Colombia two shores. Then God asks the angel to give the country three mountain ranges. Finally, the angel is asked to give Colombia the Amazon where the angel asks if this is not a bit too much for a country. God answers that he has forgotten to mention that as a counterpart he gives the country some very bad politicians. Ironically, this "joke" is still in effect and Colombia still has to deal with a lot of corruption, despite the fact that it is bursting with economic opportunities. 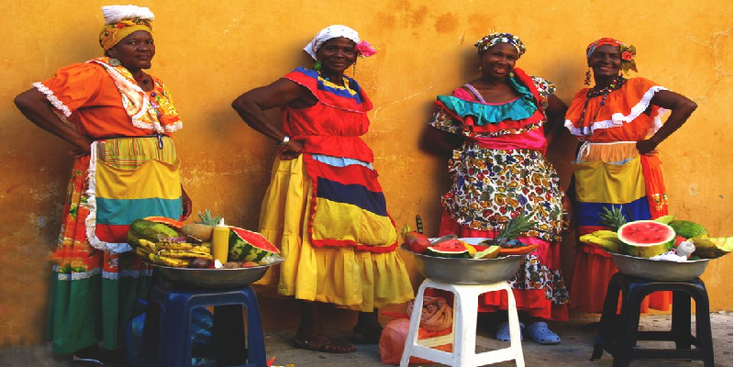 Colombia is the first country of South America from Central America and is located on the Pacific and Caribbean coast. While on the Carribean coast the white sand beaches are perfect for a sun and beach holiday you can surf the Pacific coast and try to spot whales. 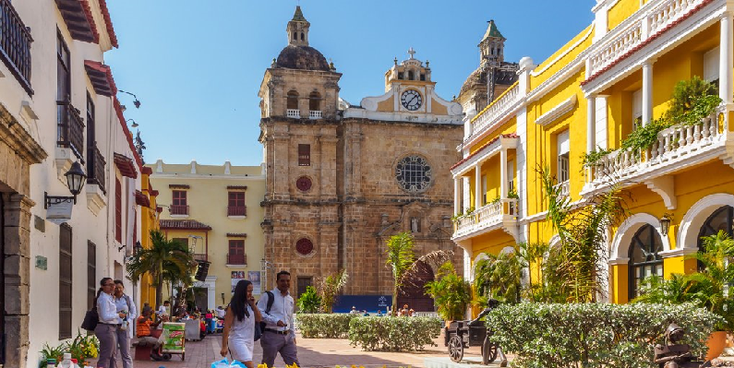 Cartagena is perhaps the most important landmark of the country with its beautiful colonial old town full of brightly colored facades and the largest built Spanish colonial fort ever. The Caribbean coast also houses a national park with ancient antique ruins of the exiled native-inhabitants. 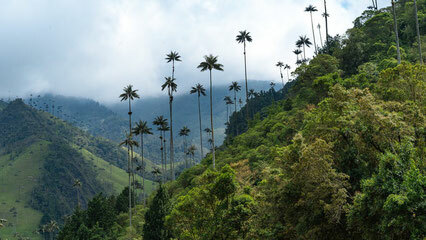 The interior of Colombia consists largely of mountains and valleys and it is here where most people live. Besides the big cities such as Bogota, Medellin and Cali, there are many plantations here (coffee and bananas for example) and you can visit beautiful small colonial cities like "Barichara" and "Villa de Leyva" which have not been changed much in centuries. The home of the late drug lord Pablo Escobar, a mythical valley shrouded in the fog with the highest palm trees in the world and thermal baths with a view of a 70 meter high waterfall are some possibilities. 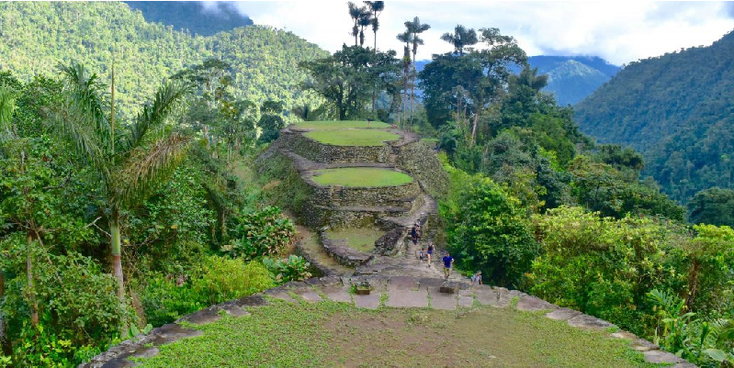 Despite the fact that the south and south-west of the country are still "off-limits" given the presence of the "FARC" there are enough different possibilities; in the south are for example the two most important archaeological sites of Colombia - here you can visit underground tombs and admire large stone carved figures (some 7 meters high) among beautiful nature. Because Colombia is such a mix of different people, cultures and areas, you can eat and drink anything here. Known are the delicious fruit juices, the arepa's and "empanadas", but also try the fresh fish caught on the coast or the "ahmodjbana" cheese rolls. A remarkable fact is that given the variety of races, the word "discrimination" does not actually exist in Colombia. Since the Spaniards mixed with the indigenous population and considerable quantities of slaves were brought into the country, which again mixed with the local population and the whites, it is a mixture of different people and backgrounds. There is, however, a difference between the people on the coasts and in the interior and the people in the city and in the countryside. Despite all this, it is still possible to admire Indian tribes in traditional clothing but you can also follow a "religious" mess in a magically located church near the border with Ecuador. 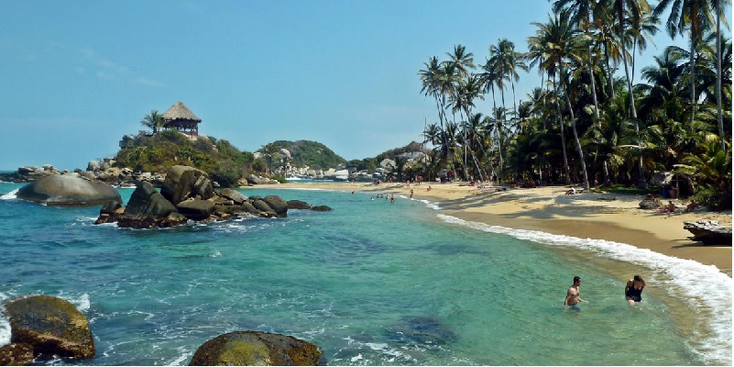 Perhaps because the population is not yet used to tourists, it is a pleasure to travel here; English has not really penetrated yet, so it is a fact that you have to learn some Spanish, but the people here are helpful and extremely friendly. "Hasslen" and intrusive people I have hardly encountered. You can bargain on markets, in hostels and in public transport and it is an easy and cheap country to travel. In addition, the infrastructure and public conquest are well organized. Especially in the Caribbean you have to pay attention to your wallet and everything is a bit less but overall it is safe and the police presence is huge even though I have not been asked to show my passport. Even though the majority of the population is Catholic and religion may be more important than I have seen, but it is not worth it. But that also applies to fanaticism for football - I've never seen so many football shirts and scarves as here in Colombia. Despite the fact that I was not able to visit the Amazon, Colombia is perhaps the most diverse country I have ever visited. There are many possibilities for this country and something for everyone. In addition to all the things mentioned, you can even practice extreme sports like rafting and paragliding in the country. A must for anyone interested in history, culture and nature and no longer the drug country where the chance of being kidnapped is greater than winning the lottery. Finally, it is located on the revolving door of Latin and South America and can therefore easily undertake a longer journey in addition to the fact that there is no high and low season to travel.